The Talking Box: Fall 2012 Network Shows: GOTTA WATCH! Fall 2012 Network Shows: GOTTA WATCH! By this point you've probably already seen a little bit about which shows each major broadcast network has picked up and when they're planning to air them. Some sites have covered them show by show, others network by network, and at least two decided to break it down night by night. Well, we're going to go with preliminary interest - what we can't wait for, what we don't think is worth the time, what falls somewhere in the middle, and even what we don't think will last. Of course, this is subject to change, especially come late July when so much more comes to light! We'll take a look at the GOTTA WATCH today, which are the series that we're definitely going to try. My first pick is 1600 Penn (NBC), which NBC has picked up for 13 episodes. As you might have guessed, it's set in the White House, and it's a family comedy. Stars include Jenna Elfman, Bill Pullman, and Josh Gad. Not only am I excited about the cast, I think it has great potential to be a funny show. It's a mid-season slot, so no idea how it'll fit in with what will air around it quite yet. Next is Go On (NBC), the Matthew Perry-as-a-sportscaster show where he's struggling with a recent loss, and joins a support group as his boss demands. I like Matthew Perry a lot, and I'm banking on him more than the premise... which hasn't worked out so well in the past, but we'll see! Look for it Tuesdays at 9pm, which sounds like a good place for it. 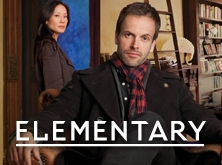 Then we have Elementary (CBS), the Sherlock Holmes contemporary drama with Lucy Liu. Not a fan of Lucy Liu, but I do love Sherlock Holmes. I'm not sure how the contemporization will work out, but the idea is strong enough to draw me in. I've also been dying for a Thursdays-at-10pm drama ever since ER ended, so maybe this will fit the bill! Malibu Country (ABC) has Reba McEntire moving from Nashville to Malibu with her three kids and mother. On the surface, it sounds like any old family show, especially the dozens which have been set in Southern California. BUT, I do think that Reba is funny and like her style, PLUS, I want to support ABC's attempt at reincarnating TGIF, and this will come on after Last Man Standing, one of my favorite new shows from last year. 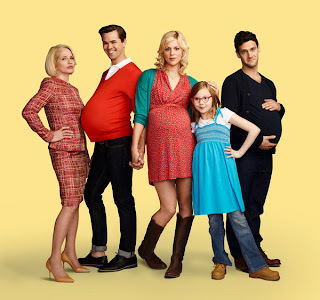 One of the bigger gambles, I think, will be The New Normal (NBC), with Andrew Rannells and Justin Bartha, who play a gay couple hoping to have a child through surrogacy. It's a comedy, so it won't be too heavy, and it will come on just after Go On, so it might not have much of a lead-in, depending. I think it'll provide a nice contrast from Go On, and that's part of the reason I've chosen them both. However, the concept just grabs me. Partners (CBS) is a sitcom from the creators of Will & Grace. Here we have two architects, one straight and one gay, who are falling apart when one proposes to his girlfriend. I like the architects and the BFFs, but I'm not sure I'm in love with a proposal being an impetus for the show... oh, and am I seriously taking on yet another Monday show? Yep, if it winds up being as promising as the preliminaries make it sound! Emily Owens, MD (formerly known as First Cut, CW) is a first-year intern at Denver Memorial Hospital, alongside her HS nemesis and her med-school crush. It's the only one of the CW pilots that I think I can stand, and while I find the basics to be a bit... droll... I'm willing to give it a try, though it'll likely be a DVR option only... it's up against Go On, among other things.